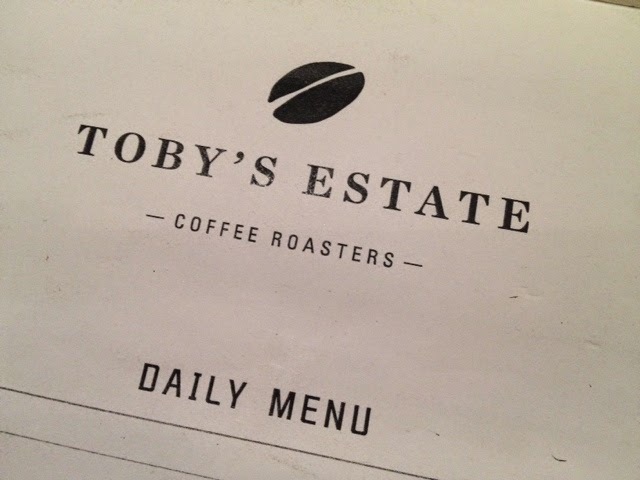 Food Escapade at Toby's Estate Coffee Roasters | Vanity and Everything in Between. 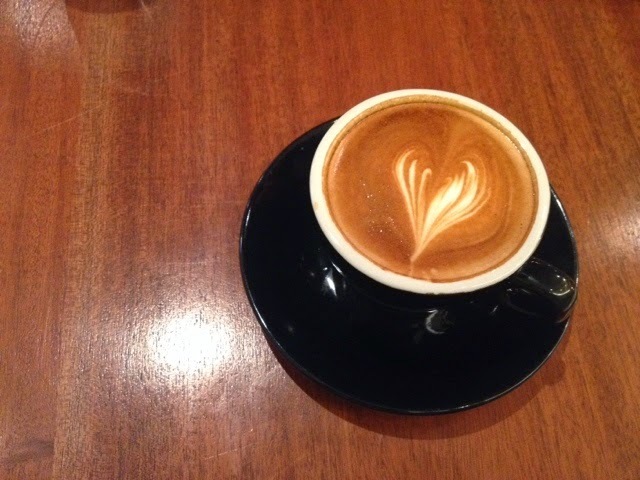 There are a lot of third-wave coffee shops opening around the Metro. Athough it's not exactly a bad thing, sometimes you just can't keep up with all them coffee shops. And I'm trying my best to visit every coffee shop. I got this idea from a very good friend of mine! I found out about Toby's Estate Coffee Roasters though on Instagram. I was checking the photos that hit the popular page and I saw a photo that pretty much reminded me of NYC Subway only it's a coffee shop. Yeh, it pretty much gives that vibe. I clicked on the photo and location of the coffee shop. What excited me more was that it's located inside a mall! I went to that branch to see what's up but it was wrong timing as we just had early dinner and we were too full to even take anything. Also, it's designed as a walk-thru coffee shop. You basically have your coffee to go. 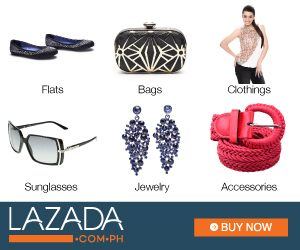 So, we visited their other branch located somewhere in Salcedo Village. What's else could be on the menu of a coffee shop? I was surprised to find out they were serving food (not just pastries). From appetisers to main course. Impressive. I visited this branch right after dinner so I wasn't able to try their food aside from coffee and dessert. Next time, I'll definitely try their pasta. 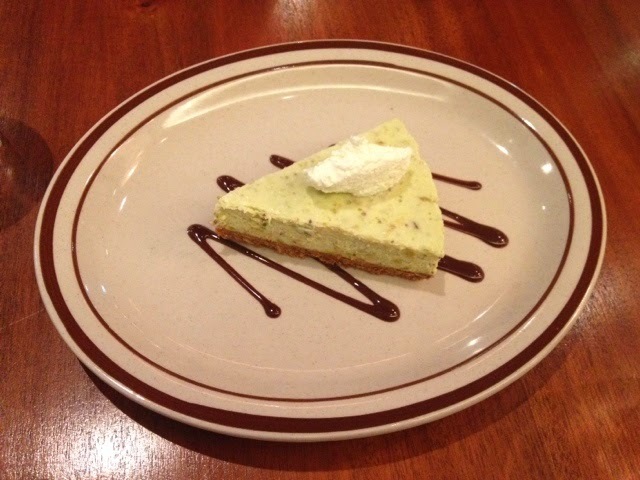 Pistachio Cheesecake - this one got me excited. It's the first time I've seen a cheesecake of this variant. I love Pistachio so I had high hopes on this one. It's okay. It definitely tastes like Pistachio, a lot of it. Trying to take photos of their interiors discreetly. I can't quite distinguish the theme of the interior design but I like it nonetheless. 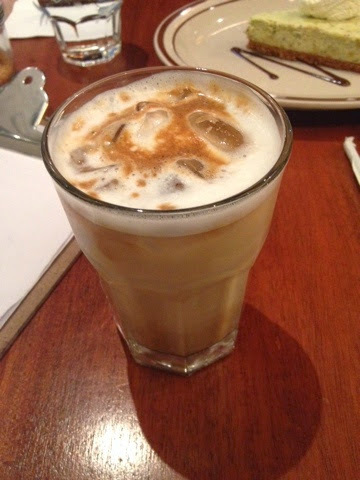 Iced Flat White - I love it! But I should've ordered a hot one so there's a latte art! A slice of cheesecake to share because we were too full. I like their coffee because it's stronger than most commercialised coffee shops. 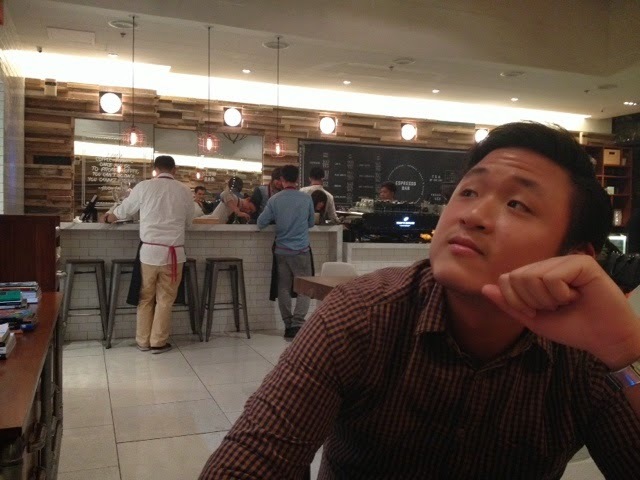 I love the vibe of the place, too, because seeing wall clocks of time difference of other cities make me feel I'm out of the country. And that's always a good feeling for me. You can also tell that a lot of people are digging their coffee + food because their branch in Salcedo Village is always jam-packed. I kid you not. We went around 11pm on a Friday night and there were still a lot of people. 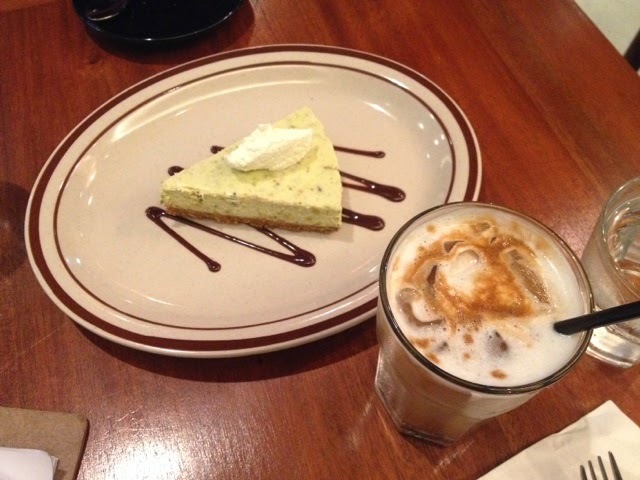 I find their coffee and food a bit overpriced though. But it's the usual price for third-wave coffee shops. 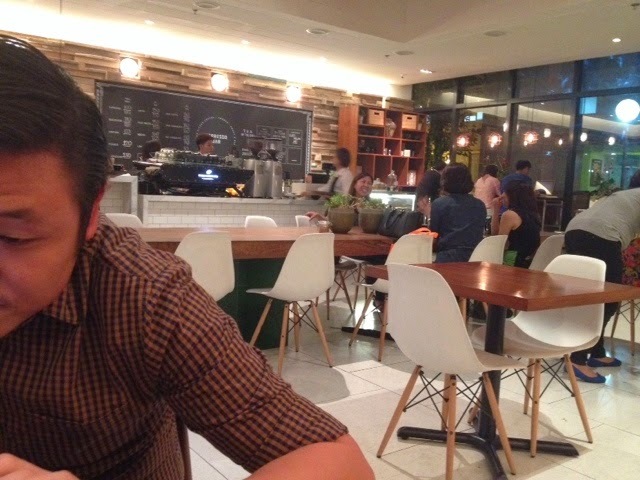 Toby's Estate Coffee Roasters is located along Leviste St, Salcedo Village, Makati. Their other branch is on the 4F of Century City Mall.